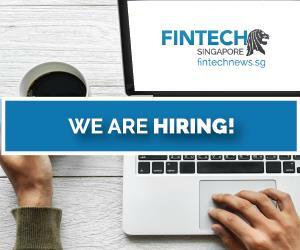 The Monetary Authority of Singapore (MAS) announced the 60 finalists that will vie for the Global FinTech Hackcelerator and FinTech Awards at this year’s Singapore FinTech Festival. The finalists will get to showcase their innovative solutions at the Festival. This year’s finalists were selected from 514 submissions from over 40 countries, representing a cross-section of the growing FinTech community, including in insurance, digital payments, and cybersecurity. More than half of the finalists come from the ASEAN region. 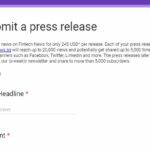 “We have seen a good increase in the number of high-quality submissions from FinTech start-ups this year. We have also seen more innovative FinTech talent in the region coming through the new ASEAN PitchFest, making it to the final round of the FinTech Awards this year. said Jan Reinmueller, Partner, Head of Digital Village, KPMG in Singapore. said Wong Wanyi, FinTech Partner, PwC Singapore’s Venture Hub. The Global FinTech Hackcelerator and FinTech Awards competitions will be judged by an international panel of judges made up of industry experts across multiple domains. The winners of these competitions will be announced at Singapore FinTech Festival. Holders of the 3-day FinTech Conference pass will have access to the awards sessions held at the Singapore Expo from 12 to 14 November. Inclusion Capital Bay Malaysia Capital Bay is a Multi-Bank Supply Chain Finance platform founded with the goal of helping businesses grow by unlocking cash flow within their supply chains. Small businesses struggle with cash flow to cover their working capital needs, and yet traditional lenders have been unable to fulfill the gap, especially for trade finance which is more complex. Capital Bay operates a digital platform for trade finance assets, to help these underserved businesses obtain short-term financing from a diverse pool of institutional lenders. The platform is able to execute trade finance with great speed and cost-effectiveness by leveraging technology solutions in credit assessment and trade processing. InvestED, PBC United States InvestED increases access to financial opportunity through mobile learning. They create the MBA for the motivated individuals around the world who do not qualify and cannot afford traditional higher education. The World Bank reports that 2 billion people are unbanked or underbanked. At the core of this is a lack of financial training and lack of financial access. InvestED aims to address both. Pvt. Ltd India ToneTag is a secure sound-wave communication technology platform which enables payments and proximity customer engagement services on any device, independent of the instrument or the infrastructure. Currently, all mobile payment technologies depend on hardware to some extent. ToneTag is making mobile payments as accessible and frictionless as possible by removing any sort of hardware dependency and by enabling all devices, including feature phones, to make payments.  Reducing investment and trading barriers and making products and platforms safe, reliable, transparent and easy. EasyEquities, the easiest, most affordable, and innovative way for everyone to trade shares and invest. Navigation of the platform is as easy as Facebook, purchasing and selling shares is as effortless a process as using Amazon, and the entire experience is as smooth and simple as using Uber. In 3 simple steps, anyone can build a portfolio of stocks without a suitcase of money. organizations to quickly start student loan programs in any country or currency without the need of additional resources. Insurtech Boxx Insurance Canada By leveraging their advanced monitoring services and solutions, Boxx Insurance’s Cyberboxx solution pro-actively monitors a customer’s systems and environments, as well as tap on global threat monitoring systems, so that they can determine which customers may be at a higher risk at any point in time. Furthermore, current risk-based statistical models employed by traditional P&C risk require substantial volumes of historical data which is not available for cyber at this stage of its product maturity. Widely used generalized linear models of actuarial studies assume the input variables or their interactions are independent from each other and linearly connected to the target (dependent) variable. In this context, the Cyberboxx risk model differs from classical actuarial risk modelling by creating deep neural networks which are based on artificial neural network algorithms. Their DNN model will be trained daily by new cyber security indices, new data points about businesses and their industries and scores and our goal is to achieve a learning accuracy superior to traditional models. Digital Fineprint United Kingdom Digital Fineprint (DFP) is an award-winning insurtech that helps insurers and brokers protect more small businesses. DFP's technology drives actionable insights from open data by using the power of machine learning. This helps business owners get relevant risk insights and insurance product recommendations based on their specific needs in a matter of seconds. This innovation has been recognised through a number of awards, including the 'Best Insurtech’ at The Digital Insurer, the ‘Best Fintech’ at the InvestHK 2018 ceremony and Silicon Valley TiE50 Award for the world’s most innovative technology startups. Today, DFP is working with leading insurers such as Hiscox, QBE and Zurich/Tennyson to improve outcomes in SME insurance distribution. 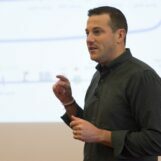 Gefen Technologies Israel Gefen enables distributed enterprise agents to digitally reach, engage and connect with their customers, creating meaningful and valuable interactions across all channels, leveraging the content, methods and skills of the enterprise they represent. We offer a unified platform that allows enterprises to distribute their digital assets (website, documents) and campaigns to their agents, who can then personalize them to create their own presence, under enterprise control, at scale. Lucep Singapore Lucep is a sales and marketing acceleration solution. Our lead capture and distribution platform is the bridge that connects a customer’s digital engagement, from multiple sources, to personal interaction with an agent. Lucep captures leads from digital channels - such as website chatbots, social media, online forms -and directs them to the best agents available to instantly respond. Lucep provides details on customers’ digital engagement and integrates CRM systems empowering agents to have more meaningful, high-quality conversations for a seamless and personal customer experience. The Glue Belgium The Glue is an innovative financial technology company focused on delivering solutions that allow banks and insurance companies to accelerate the execution of their digital services. The Glue’s framework allows banks and insurance companies to make their digital offering more customer-centric, context-aware, data-driven and personalized. Among its Solutions, The Glue has developed a digital investment platform connecting savings & investments, enabling customers to manage their investments and insurance (pension) with the ability for the insurer to offer advice when appropriate. With its unique way in aggregating data, processing and connectivity to existing systems, The Glue enables 360° view of customers (including account aggregation across different players), personalized banking & insurance services and personal financial planning. Finally, The Glue's platform enables the creation of event-driven journeys to allow more contextualized customer engagement. These events can be triggered internally (from existing back-end data) or externally from 3rd party data providers (e.g. real estate data triggering house & content insurance policy based on the purchase of real estate). As a result, insurance agents are driven to engage with customers on key life triggers for a more meaningful discussion on wealth and/or health insurance needs. by Risk, Audit, Compliance and Legal teams. Using heatmaps, trend analysis and other visual tools, Corlytics allows firms to understand the areas of greatest regulatory risk based upon the jurisdictions in which they operate, their lines of business and the regulators who regulate them, and so plan their compliance programs accordingly. Eightwire New Zealand What if you could automatically aggregate information from any system in the world? And what if you could do this with full privacy, security and audit controls in place from the start? with privacy by design principles, Eightwire's customers know that their personal information meets strict privacy requirements for aggregation. Hecky India Heckyl is in the space of Real-Time Analytics of Structured and Unstructured Data. Their Credit Risk Early Warning System (EWS) helps the bank to manage/control the non-performing loans. Heckyl has developed the Credit Risk Early Warning System (EWS) Software that captures millions of structured and unstructured data points about different companies. They cover thousands of data points and analyze them through hand-written business rule engine (where they have written thousands of business rules). As a next step: Heckyl provides an output that is actionable and consumable red-flags on companies based on a variety of business rules. In a nutshell: Heckyl helps a bank to capture all the red alerts on the companies through discovery and analytics of traditional and alternate data. Instantor Sweden Instantor makes people’s financial lives easier and helps organizations to understand their customers´ true financial capacity. With Instantor’s online solutions, financial organizations can increase acceptance, reduce risk, and streamline management. Instantor has 250 integrated banks in 25 markets, with 150+ clients in Europe, South & North America and Asia. Instantor is a Swedish company founded in 2010 with offices in Stockholm, Sweden, Zagreb, Croatia, and Malaga, Spain and employs a team of 50+. In April 2018 Financial Times ranked Instantor as the third fastest growing Fintech in Sweden. 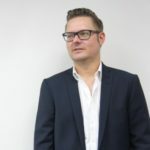 SPIN ANALYTICS United Kingdom SPIN ANALYTICS is a FinTech and RegTech company which developed RISKROBOT, an AIdriven platform that automates credit risk management and regulatory compliance for financial institutions and corporations. The software drastically reduces time and manual effort, boosts efficiency, and enables clients to increase the accuracy of their forecasts. Accord, IFRS9, CECL, Challenger Models and Stress tests. Among their current customers there are Global Banks which use thousands of Credit Risk models for their daily business. SPIN Analytics headquarters are in London, UK with new offices in New York and Singapore. General BetterTradeOff Pte. Ltd. Singapore BetterTradeOff – a Singapore-based start-up whose one-of-a-kind holistic life-planning solution, 'Aardviser,' uses advanced statistical models and AI to empower people to make optimum decisions when financing their dreams. This flexible, modular, white-label solution can efficiently and quickly capture a client’s [new prospect or existing client] financial situation (KYC/FNA) to immediately engage him or her in relevant and exciting life solutions. Billon Group Ltd Poland Billon's technology is the first and only blockchain, which encodes national (i.e., fiat, not crypto) currencies, is fully regulatory compliant, with performance and economics that support micropayments and mass consumer-scale applications. Billon’s system is composed of blockchain nodes, where each node is essentially an application installed on an end-user device (smartphone, tablet, computer, server) and each new user brings its own device (typically a smartphone), which adds processing power to the system as a whole. Transactions are processed directly between the nodes, without any central system being involved. Consequently, the systems scale without any incremental transaction costs, and recent tests proved the ability to process over 160 million payment transactions per day. Eltropy Inc United States Eltropy, a Silicon Valley based technology company, has built the world’s first messaging based customer engagement software for financial services companies. Eltropy’s technology allows client facing teams at Financial Services firms to leverage Messaging platforms like WhatsApp, Line, SMS, Facebook Messenger etc. to engage prospects and clients in a whole new way. To increase share of wallet by cross-selling and up-selling financial products, while giving customers an experience that they seek. Eltropy’s AI-based sales acceleration and customer retention technology is compliant, supports IT integration and provides business intelligence. (2) 1-click automates the precise translation of investors’ personal circumstances, risk and market opinions into a tradable portfolio (Problem Statement 57). This empowers the industry to leapfrog from ‘standard digital’ to ‘personalisable digital’ services. Valocity Limited New Zealand Valocity is transforming the mortgage and valuation process all through one smart platform. It combines the best of technology, data and analytics through a modular cloud based solution. This enables banks to deliver a more seamless, transparent and relevant customer experiences while at the same time managing risk and regulatory compliance. Because Valocity believes smart people, with the latest technology and data can make the complicated simple. 2359 Media Pte. Ltd. Botbot.AI 2359 Media is Asia's leading software consultancy, focused on mobile-centric software and solutions, with significant clientele including FOX, Samsung, Singtel and Standard Chartered. Botbot.AI allows them to transact, request for information or receive notifications from other enterprise systems that are more complex or tedious to use. Active.Ai (Active Intelligence Pte Ltd) TRINITI Active.Ai is building a conversational AI Fintech Platform from Singapore for the rest of world. With their proprietary AI Enterprise Platform, they help enable predictive, intuitive engagement with their customers on mobile, chat, or voice enabled IOT devices. Engine and various middlewares with API that allows deep integration into numerous banking platforms. Service Bondlinc is a B2B2C FinTech company specialising in trading and automation of private wealth processes relating to Fixed Income. Their target customers are Private Banks, Securities houses, and external asset managers and family offices. Bondlinc's Pricing Engine service aims to provide fixed income pre-trade transparency to Sales people and Investors with their proprietary system, while ensuring that bond prices are as reflective of real market prices and actual transaction information as possible to enable trading. Call Levels Claire Call Levels is a Singapore based FinTech Startup, operating across consumer and business verticals. Their core product is a market monitoring mobile application, "Call Levels", that services more than 500,000 investors globally. CLAIRE is an end to end solution for financial institutions to meaningfully engage their clients via their favourite messaging platforms. These services include price and market monitoring, portfolio data and analytics, news broadcasting, and client queue. Canopy Pte Ltd Canopy Canopy make sense of financial data for investors and relationship managers to make better informed decisions. Getting a complete and accurate view of a High Net Worth Individual's whole wealth is a persistent challenge to the individuals and their wealth managers due to the sheer complexity of their assets, diversely held in multiple private banks and beyond. Canopy is a platform that allows all assets to be aggregated and viewed as a single portfolio, with analysis and reporting capabilities. CardUp CardUp for Business Launched in late 2016, CardUp is backed by venture capital firms including Sequoia Capital India and SeedPlus, and has established partnerships with major banks including UOB, Bank of China and Mastercard. CardUp stands in the gap between credit cardholders (payors) and recipients (payees) that do not accept card payments. CardUp charges the cardholder's card for the amount they want to pay to their recipient plus a processing fee, and delivers the payment amount to the recipient via bank transfer. This means any payment made by bank transfer, cash or cheque today can be shifted to credit card. CCRManager Pte. Ltd. CCRManager CCRManager is a global cloud-based platform supporting the distribution of trade finance assets by financial institutions. CCRManager provides financial institutions with dealflow document management capabilities, compliance controls, real-time private placement marketplace, and built-in reporting and data analytics capabilities. 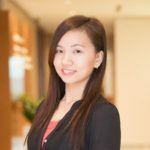 Cynopsis Solutions Pte Ltd Artemis Cynopsis Solutions is a RegTech100 company founded in 2014 and headquartered in Singapore. They focus on anti-money laundering and counter terrorism financing SaaS products that automate the manual processes and digitise the analogue records and documentation for their clients. DAYLI Financial Group Smart Wealth Management Established in February 2015, DAYLI Financial Group is the largest Fintech company in Korea. DAYLI focuses on the use of artificial intelligence, roboadvisor, personalized financial management, and insurtech to provide easy-to-use smart wealth management services for both individual and institutional users. DBS Bank Singapore Customer Science DBS is a leading financial services group in Asia. They are headquartered in Singapore, with a growing presence in Greater China, Southeast Asia and South Asia. As a bank born and bred in Asia, they are well-positioned as a partner to capture opportunities across the region. Customer Science aims to connect customer behaviour with system data in real time with the objective of predicting and preventing one million customer issues by 2020. The approach is data-driven, cloud-based and in real-time, to drive actionable insights and intervene in the individual customer's journey to drive proactive and predictive servicing. Everspin Eversafe Everspin is a cybersecurity company that has invented the world's first 'Dynamic Security Module' technology. Awarded by the president of Korea as 'the best startup of the year' in 2017, Everspin is applying their technology to mobile application as an end-point security solution. Eversafe is a mobile security solution which enables a server to send a disposable random security module in a real-time basis to user's program. This technology gives potential hackers no time to analyse the module to hack user's program. In addition to the secureness of Eversafe, the solution can detect hacking threats on a real-time basis. Indonesia Kredivo FinAccel is a financial technology company that leverages deep data analytics across users' digital footprint to automate credit risk scoring and access to credit for ecommerce purchases in Southeast Asia, the 7th largest economy in the world. Kredivo is a first-of-its-kind instant digital credit card, designed for Indonesian millennials, which automates credit scoring using digital data and makes credit available for ecommerce purchases through an alldigital, seamless process to help them conserve their current cash flow and pay overtime at bank-like interest rates. FinAi S.A. FinAi Founded in 2016, FinAi is a Poland-based FinTech company. The company has created a top-notch fully digital lending platform which aims to simplify the consumer's credit path and services supporting remote sales. FinAi introduce totally new business model that connects banks and consumers all over Europe via plug-and-play technology. The company has created a top-notch fully digital lending platform which aims to simplify the consumer's credit path, as well as services supportingremote sales: models for operational risk management and credit risk based on completely new data for the sector. Finantix Asia Pacific Pte Ltd smartKYC Established in 2001 and with offices in Asia, Europe and North America, Finantix sales and advisory solution is trusted by a global customer base spanning over 40 countries, including some of the world's largest banks, wealth managers and insurers. smartKYC is an Artificial Intelligence and Machine Learning powered multilingual search and analysis platform for financial institutions that automatically surfaces risk-relevant and contextually insightful intelligence on third party customers at a fraction of the time and cost of a human equivalent. approximately six million business locations and 4,000 financial institutions in 118 countries around the world. Tab boarding automates the merchant boarding process through an intuitive app which streamlined end-to-end internal workflow leveraging application programming interfaces (APIs). Merchants can now be boarded within hours instead of days to accept electronic payments. HydraX OTC Headquartered in Singapore, HydraX is founded by a team of professional traders and ex-regulators. Their two core businesses, HydraX Trading and HydraX OTC, seek to tackle existing problems for cryptocurrency traders, in the exchange-based and OTC spaces respectively. HydraX Trading provides users with a single point of access via API connections to more than 100 venues, including most major exchanges. The platform provides professional trading tools previously unavailable for cryptocurrency traders. 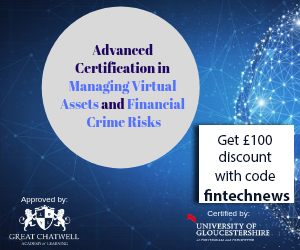 These include charting, trade execution, portfolio monitoring, transfers of assets, customisable scanning, real time alerts, and automated algorithmic trading. KASKO LTD Splitsurance KASKO strives to bridge the gap between the insurance and digital world. The InsurTech solution provider offers an end-to-end, modular, insurance platform, which enables insurers to create, launch, run and continuously optimise digital insurance products in any distribution channel quickly, cost-effectively and flexibly. Kasko collaborated with Allianz Suisse to create and run an innovative new insurance product, splitsurance. The offering targets university students in Switzerland who are living in a flat share. Customers can get a liability cover and insure up to three high value items. Platform Katipult is proprietary cloud-based software infrastructure that allows firms in private capital markets to design, setup, and manage an alternative investment platform or digital back office. They have compliant platforms in over 20 unique regulatory environments. secure document management, to secure payment facilitation and escrow services. The platform contains a suite of modules and features to allow clients to quickly and easily modify elements to accord with the dynamic regulatory environment, as well as to scale to meet business growth. secure cloud, and mobile identity. The goal of this project is to be the first in the world to implement a blockchain-based data provenance and security solution for small IoT devices (devices that have no more than 512 megabytes of memory capacity). The solution demonstrates the secure exchange of data without relying on trusted third parties such as certificate authorities. services through widely available alternative data. at any time, on any device, regardless of collateral or credit history. With Maybank2u Pay, Maybank is proud to be the first bank in Malaysia to offer an open API for digital payments to e-commerce merchants. Not only that, we are also the first to implement a fully digital on-boarding process that allows application, document submission, SDK download, etc. to be fully done online. Naffa Innovations Pvt. Ltd. ToneTag Founded in 2013 and based in India, Naffa provides mobile application software to enable digital payment. Their investors include Amazon and Mastercard. ToneTag enables contactless payments through sound. The software algorithm (SDK) encodes data into sound waves which could be transmitted using any basic speaker. The only requirement for mobile payments through ToneTag is the integration of the ToneTag proprietary SDK on the merchant (EDC, POS, Phone) and customer (Mobile banking, wallet, payment apps) side. solutions to small and medium-sized financial institutions. As of the end of 2017, OneConnect has served over 400 banks and over 2000 non-bank financial institutions. Their e-KYC is an electronic system based on the rich base of big data of Ping An's OneConnect that helps financial institutes to know their customers more comprehensively and accurately. Privé Technologies Prive Managers Recognized as the fastest growing technology company in Hong Kong by Deloitte in 2017 and ranked 14th fastest growing technology company in 2018 by the Financial Times' FT 1000 APAC, Privé provides end-to-end solutions for banks, financial advisors, asset managers and insurance companies. larger number of international trading counterparties. Participants can both make and take prices, leave orders, and see full market depth. 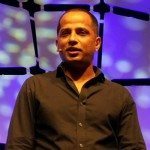 Platform SQREEM is a Singapore based FinTech company with proprietary cognitive artificial intelligence system to automate media buying and to give computers a higher level of understanding of human behaviour. SQREEM has have built a cloud-hosted AI automated insights, micro-segmentation, media testing & media buying platform, with full attribution and are fully GDPR compliant. They compress the research and testing process from weeks to minutes. They are data and language agnostic, and can use any source of data - structured or unstructured. Protected with customer-owned encryption keys, Symphony's communications platform increases workflow productivity while maintaining global regulatory compliance. Symphony is focused on providing a solution for the financial services industry to capture the mindshare of one of the most highlyregulated sectors. of the MAS Sandbox and has been awarded the ACE Start-Up Grant by SPRING Singapore. Thin Margin provides an online platform that allows consumers to purchase foreign currencies via their computer or mobile phone, and have it delivered to their doorstep (home or office). Consumers can add other travel products (like our travel SIM card) to be delivered with their currencies. today having 3 of the 5 largest banks on board. parallel with enabling a more seamless and relevant customer experience. By combining the best of data, analytics and technology, Valocity digitise a bank's credit policy, automated the valuation process, and allow seamless data capture and insights throughout the process. Ltd. VSmart VoxSmart is a pioneer in the field of Mobile Voice Recording and solutions globally. They aim to enable regulated enterprise adoption of Mobile phone by creating the most comprehensive Mobile Surveillance Platform in the world. VSmart is a Mobile Voice (voice calls SMS) and IM (Whatsapp, WeChat) recording solution which enable business mobile users to stay compliant and increase productivity by having business communication recorded. VSmart capture, store and record mobile communication on any mobile network, on any mobile platform, in any location to provide the most sophisticated mobile surveillance capability in the world. generating quotes and allowing users to make direct purchases. The chatbot offers four areas of expertise: travel, fire, home, and maid. The bot is capable of offering an insurance quote, based on the parameters provided by the user. Brunei BruPay BruPay is a Bruneian Fintech company specialising in developing the next generation of Fintech products tailored to the needs of ASEAN countries in terms of cashless mobile payment system and automation powered payment systems. ADME is a platform powered by blockchain technology that enable brands to send out personalised advertising campaign to consumers from different social media databases. 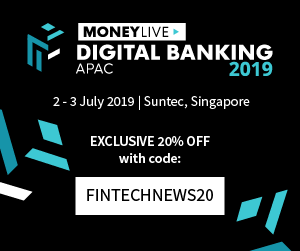 Indonesia Brankas Brankas aims to improve the “last mile” for bank transfer payments, by providing software systems that connect business and consumers directly with their respective bank partners. They reduce reliance on payments intermediaries, improve bank customer engagement, and provide an overall more efficient transaction platform. Brankas builds and integrates payments APIs and frontend tools to help businesses and consumers to manage money better. Their core service focuses on making it easy for ecommerce merchants to accept payments by bank transfer. Laos PayPlus Payplus is a Lao-based FinTech firm with a focus on digital payments and remittances via an agency network and an e-wallet. They are also recognised as a pioneer tech company in this space as other players such as banks and telecommunication companies have selected to buy off the shelf solutions, instead of building from ground up. Pay+ is a payment service provider that digitises cash into e-money for transfer and payments within Lao PDR using mobile phones and over an agent network. Malaysia MoneyMatch MoneyMatch is an award winning FinTech start-up approved under Bank Negara Malaysia's (BNM) Financial Technology Regulatory Sandbox providing a fully digital cross border payments and remittance solution powered by their Electronic Know-Your-Customer (eKYC) mobile application. MoneyMatch is also a Tier-1 Multimedia Super Corridor status company and Malaysia's first ever Central Bank approved institution to utilize the blockchain to power cross border transactions. MoneyMatch Transfer is a digital money transfer platform which servers both personal and business users. Myanmar ZigWay Zigway help low income families in Myanmar to break free of debt traps by creating a mobile application that gives people direct access to cheap, flexible Nano Loans ($5-$200) via their phones, changing the power dynamic between the poor and powerbrokers who exploit them. ZigWay is building a mobile technology platform to help low-income families access microfinance. Philippines Nextbank Software Nextbank provides subscription-based, easy to install, use and maintain, cloud platform, which offers all the software required to run and a modern, medium-size bank including country specific regulatory reports and mobile apps for digital banking in the province. Thailand FairDee Insurtech FairDee Insurtech is a Thai subsidiary of Vouch Insurance Group. The company works with insurers to develop new products and services to revolutionize the customer experience. Today, FairDee has partnered with 6 leading insurers in Thailand to launch its P2P platform. It is the first start-up to be approved by the Office of Insurance Commission to enter its Insurance Regulatory Sandbox. FairDee’s platform tackles over-claiming problem in car insurance industry and allows customers to group together and earn cashback for not claiming. Vietnam Wecash Vietnam Wecash is an Institution-to-peer lending FinTech start-up which uses AI Credit Scoring to provide instant approval and instant disbursement on any mobile phone. Wecash is a mobile platform (powered by Big Data and Machine Learning) arranging unsecured peer-to-peer loans between institutional lenders & consumer borrowers.